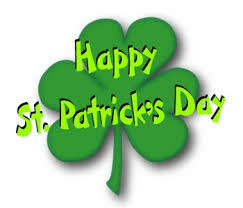 Celebrate St Patrick’s Day with a good book. A good book about missionaries, that is. I love St Patrick’s day. I love this holiday because it tells of a great man used by God to reach the first non-Roman group of people with the gospel. Patrick of Britton was captured by Irish slaveholders and spent six years serving as a shepherd. God moved in his heart and miraculously rescued him. He returned to Britton, a free man but later went back to the land of his captivity and was responsible for establishing the church in Ireland. Shadow of the Almighty by Elizabeth Elliot, the story of Jim Elliot and his companions who tried to reach the Auca Indians of Ecuador. The End of the Spear by Steve Saint, the story of the son of Nate Saint, another of the five Ecuadorian missionaries. In The Presence of My Enemies by Gracia Burnham, the courageous story about a missionary’s effort to survive after being kidnapped by Filipino Muslim terrorists. Exodus To A Hidden Valley by Eugene Morse, the remarkable escape of a mission family out of Burma. God’s Smuggler by Brother Andres, the daring, gripping account of a man who worked to smuggle Bibles and other Christian literature into Communist countries. A Chance To Die: The Life and Legacy of Amy Carmichael by Elizabeth Elliot. Amy rescued children from shrine temples in India. Christy by Catherine Marshall, a fictional story based the life of Catherine’s mother as a school teacher at an Appalacian mission school at the turn of the century. The Inn of Sixth Happiness by Alan Burgess, the story of Gladys Aylward, the “small woman” who went to China in spite of being turned down by a missionary society. These stories have inspired me since I was a teenager. 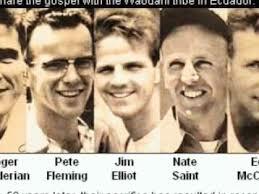 The stories of God’s Smuggler and Jim Elliot challenged me to a radical commitment to my faith in Christ and fueled my early passion for missions. We need to hear these stories of the greats saints of the faith and we need to share them with the next generation. As I compiled my list, I realized a lot of these books are on the older side! These are great classics but I wish I could recommend more recent stories. Maybe those stories haven’t found their way to book form, or maybe I haven’t kept up with recent literature. I hope it’s the latter! There are so many stories of courage and sacrifice that need to be recorded so the next generation have role models of faith. I personally know a number of multi-cultural workers who have their own stories of courage and success, failure and faith. These are the ones I pray for on St Patrick’s Day and thank God for their faithful commitment to carry the Gospel message to those who need to know. Here are the gospel-carriers on my list. Chris and Ira, ministering to a region in the former Yugoslavia where only 25 Christians reside in a city of over 300,000. Larry and Teri in Berlin who recently had a large refugee camp move within yards of their mission “library” and who have more people coming through their doors, asking questions, than they can handle. 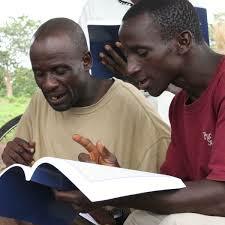 Barb and Evert who have served for years as support staff in Guinea with Pioneer Bible Translators to those who are translating the Bible for an unreached people group. They have seen little actual results of people professing faith in Christ but they know that seeds have been planted and that they are regarded as salt and light. Lisa, who serves as a liaison between the home office of Wycliffe Bible Translators and the on the ground workers in Nigeria. Lisa makes multiple trips per year between the two countries and is tired. She needs an extra measure of strength from the Lord. Marilyn, who used to work as a pharmacist in a medical mission but now has an outreach ministry to casino workers in Macao. What a wonderful way to target a group of people need the Lord. Macau is one of the largest casino centers in the world. Kim, who serves as stateside staff for a mission to elderly homeless folks in Romania. At this moment, Kim is at the bedside of her dying sister in Illinois. Please pray for Kim and her family as they release Judy into the arms of her loving Savior. If you don’t know any people who serve the Lord cross-culturally, feel free to choose one or two from my list to pray for on St. Patrick’s Day. I’m sure my friends wouldn’t mind. What books about missionaries would you recommend? Share with us! Saint Patrick’s Day is coming. 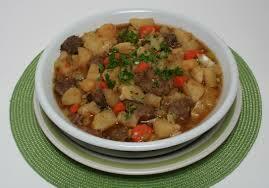 St Patrick’s Day makes me think of Corned Beef and Cabbage, Irish Soda Bread, and Lamb Stew. Mmm, stew. I’m smiling. 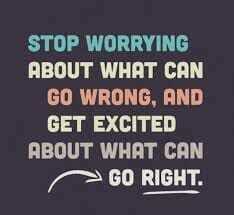 Because stew makes me think about worry. Okay, my mind is connecting random dots. What gives? 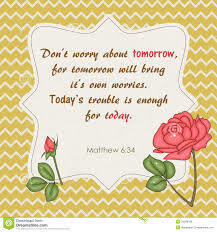 We all worry. We may just express it in different ways. I’m a stewer. I tell people I’m a great cook. I make the best stew ever. The most succulent of stews sit on the back burner or inside a slow cooker on a low boil all day. Yep, that’s me. 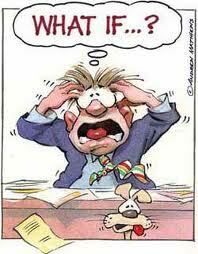 My worry matter can simmer in my mind for hours throughout the day and even worse, throughout the night. If I cooked real stew like I simmer my worries, I’d win Food Network cooking contests. That may be a great recipe for stew but it’s a rotten recipe for successful, stress-free living. The only thing simmering worry produces is sleepless nights, red eyes, and stomach knots, leaving the worrier even more incapable of coping with life. Been there, done that, got the face wrinkles. We hide the way we worry. We act like everything is all right. We let it creep out under the guise of a prayer request. We come up with multiple solutions of how to handle the situation. We let our imaginators run wild, writing fictional scenes in our brains that rival Stephen King’s creativity, as if trying to prove to ourselves we can handle the thing we fear. I did that the other night. I had received an email that registration was now open for the annual writer’s conference I’ve attended the last two years. The email triggered memories of the struggles and obstacles I faced those two times as a visually impaired person. As I lay in bed that night, I conjured up the worst thing that could happen to me at the next conference and painted myself into scary scenarios as the conquering heroine tapping her white cane through obstacle filled corridors to win the hearts of awe-struck editors. The crowning incredulity of my worry is that this conference is six months away. And I lost three hours of sleep over this? Silly me! “This is so hard,” I’ve heard my Bible study ladies say. 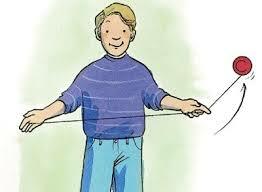 “I say I’m going to turn things over to God then I try to take them back.” Just like a yo-yo on a string. Like my worry. I thrust it toward the Lord, then reel it back. I need to cut the sting. Every day is a new struggle, I tell my ladies. Every day you face the monsters. Some days you do better than others at overcoming. Each day, you get a little better at the conquest. One day, in Heaven’s courts, God will wipe away the tears shed over the struggle. I understand the mantra of Alcoholics Anonymous is “One day at a time.” Reforming alcoholics never let down their guard. They celebrate the sobriety of one day, but the next day begins a new battle. That’s good advice for any of us who struggle against a particular sin. 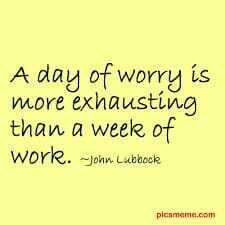 Including, ahem, worry. Take one day at a time. God does that with us. He reminds us that His faithfulness, His grace, is new every morning. I need to return the favor. I need to let God know each and every day that I intend to stay faithful to Him, that I intend to rely on His faithfulness today, just for today. I’m not going to think about tomorrow, Scarlett O’Hara, because tomorrow is a long way away. Lots could happen between now and then. For now, I will concentrate only on now, this moment, and how I’m living the now to God’s glory. No more stew. Just pass me the bread. 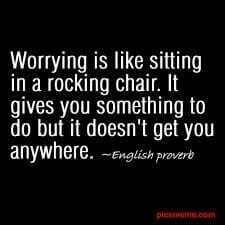 Here’s some great quotes about worry. What’s your favorite quote? No I don’t want to kiss any Blarney Stone, I don’t drink Guinness Beer, and I haven’t pinched anyone for not wearing green – yet. In fact, it truly distresses me how the world has woven Irish culture into the commemoration of the death of a man who wasn’t even Irish. They’ve layered the life of a great man with lucky clovers, legends of leprechauns, and plenty of folklore. I celebrate this holiday because I love to honor the man who died on this date centuries ago. One source I read labels St. Patrick as one of the five greatest Christian influences of all time. Patricus was born to a Romanized Britain family. That means he was probably civilized and cultured. His father was a deacon and his grandfather was a priest – that meant he came from a faith-based family. At age 16, he was kidnapped by raiders and taken as a slave to the rough and tumble country of Ireland. (See? Human trafficking happened even back in the 5th century!) He was forced to spend long, solitary years herding sheep. During that time of solitude, he renewed and deepened his faith in the God of his heritage. After six years, guided by a dream, he escaped and returned to his family. But after some time, also through the personal guidance of a dream, he decided to return to the land of his captors and proclaim the Gospel of Jesus Christ. St. Patrick returned to the land of his enslavement to preach liberty to his captors. Was he crazy? Would you be willing to return to a people who had abused you, starved you and harmed you? Would you willingly turn and face the danger that at one point almost killed you? That’s what St. Patrick did – for the sake of the Gospel message. That’s how important faith in Christ was to him. The danger was worth it. The eternal destiny of the Irish people was more important to him than his personal safety and well-being. Christ calls us to love our enemies. Patrick showed the greatest kind of love hat one could show. He was willing to help the people who once had hurt him. God blessed his efforts. Patrick’s autobiography, Confessions, records that he baptized thousands. Entire clans came to know Christ. Single-handedly through the power of the Holy Spirit, he turned an entire culture around. If God can change an entire culture through one man, what can He do through you? We often see difficulties as obstacles toward accomplishing God’s will. God sees those roadblocks as stepping stones. He uses the rocks on your road to shape you and ready you for what He has for you to do. Just think – Patrick’s six years in slavery was a crash course in language and culture study! And he didn’t even have to raise mission support for those six years. Who better to go to Ireland as a missionary than someone who had already been there! We are not powerless. We can change our culture. We can bring Christ to those who would do us harm. We have the power of Christ to do anything, even forgive and love those who have hurt us in such a way that they come to know Christ. So, as you pin on your green shamrock and put your corned beef and cabbage supper in your slow cooker, here are some other ways to celebrate St. Patrick’s Day. Pray for a missionary. Who do you know that is reaching beyond cultural lines to share the gospel? Pray for their influence. Pray for their boldness. Pray for their protection. Praise God for His power and for His redemptive use of bad situations. Pray that God will show you how to bless those who have hurt you with the life-saving message of the Gospel. Pray God’s protection over whatever you do. Take Him with you in all that you do. Patrick realized and we should too – you can’t do great things for Jesus by yourself. You have to do it in His strength. And finally, please, don’t pinch anybody. Not today. 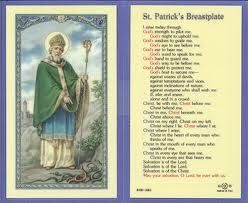 Here is a portion of St Patrick’s prayer. You can use it to guide your own preparations for taking the Gospel into your corner of the world today.